It's time you started treating your jackets like equipment. Taking care of your expensive waterproof breathable clothing is no different then tuning up your bike or waxing your skis for top performance. All new-tech waterproof breathable fabrics have a few things in common. First they cost you big coin, but well worth it. Secondly they are treated with a DWR (durable water repellent) coating that does wear off with use. And thirdly the fabric is porous (ie.breathable). The pores in the fabric are small enough to block water droplets from passing through but do let water-vapor to escape making the jacket breathable. However when the jacket is dirty and not just the visible mud grimm and ski lift grease but also and probably more importantly microscopic dirt and oils that do collect from everyday use will block those pores making the jacket far less able to breath. You need to wash your jackets a couple times a year at least to keep the pathways for your excess heat to escape. Nikwax techwash works extremely well to clean garments without the harsh chemicals of regular laundry detergent. It is recommended by the major clothing brands. 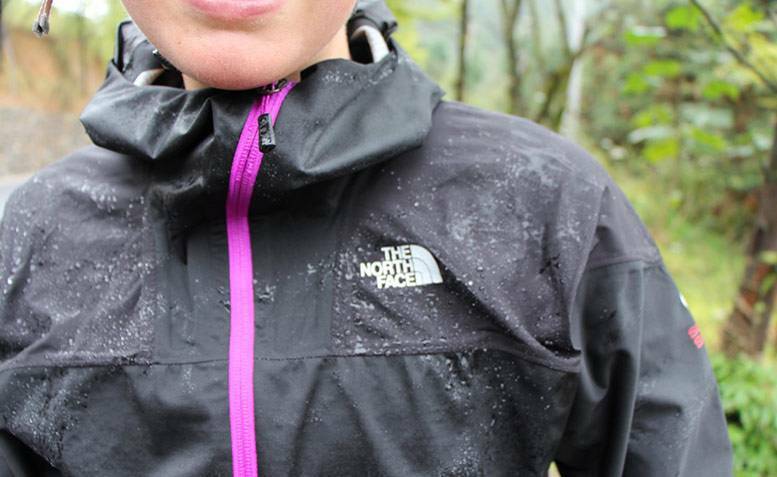 Your raingear could be soaking up water just because it is dirty. First, try cleaning it with Nikwax Tech Wash®, and if it is fairly new, or recently re-waterproofed, the Durable Water Repellency (DWR) will be revitalized just from cleaning. But, once the garment has been thoroughly worn, you will need to add DWR, using Nikwax TX.Direct®, after cleaning first with Nikwax Tech Wash®. For more about NikWax products for all your technical clothing and footwear check out their website www.nikwax.com or stop by our shop and grab a bottle of Nikwax to tune-up your jacket.